Around 4 am, workers at the Keeshav Shrusti Go Shaala at Bhayander, in India, head to the tabelas (cow sheds) to collect the first urine of their 230 cows. They collect 200 litres of gomutra (cow urine), which is then sent to a production unit where it is filtered, bottled and then shipped across the country to be sold at high prices. 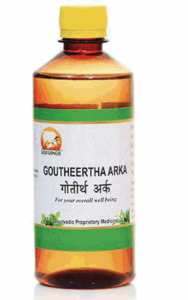 The popularity of alternative medicine and a back-to-nature rush has meant that those seeking gomutra as the cure for all ailments — it is touted as a cure for cancer, diabetes, high blood pressure, psoriasis among others — has spurred a rise of gomutra products in the Indian market. A year ago the Indian ‘Council for Scientific and Industrial Research’ even initiated projects to study the anti-cancer and anti-infection properties of various cow products including cow urine and dung. Last September, Maa Gou Products (MGP) approached BigBasket to distribute its range of cow-urine based products, ranging from floor cleaner, tooth powder, balm and face pack. Today there are several sites that have been set up specifically to sell cow products. For instance, the one-year-old vendor portal www.gaukranti.org. The site, which retails a range of products, gets 40 per cent of its revenue from cow urine. But, not all cow urine bottles are the same or tout the same solutions. Some are used as cleansers; Mumbaikars will recall the Kandivli ccorporator who suggested that KEM Hospital be cleansed daily with cow urine. Some others are meant specifically for weight loss. 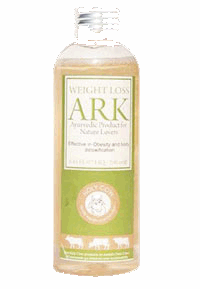 GoArk, for instance, is a weight loss product made by boiling cow urine in an iron pot to which a vapour condensing device is attached. The main difference lies in the source of the cows. 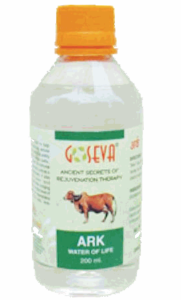 Goseva GoArk is prepared from the GIR cow’s urine and GouGanga is from mixed Indian breeds. Bos Indicus, the breed indigenous to the subcontinent, is to be preferred. One expert explains: “foreign breeds such as the Jersey cow have been subjected to genetic modification.” He says that once the gomutra is collected it is filtered around eight times through a piece of cotton cloth. The distillation process, he says, helps ensure that there is no ammonia so that the shelf life is increased. Typically, it’s good to be used up to two years after bottling. The demand for gomutra — whether as a medicine, a face pack or a floor cleanser — is now rising beyond India. There even have been inquiries from the UK, US, Australia and even Arabic countries.